This book is full of practical, biblical insights and strategies to shed the resentments that leave Christian special-needs parents themselves spiritually, emotionally, and socially drained. Wallin meets readers right where they are, sugar coating nothing, but addressing issues with honesty, humor, and--above all--hope. The review: First, let me begin by saying "wow, what a book!" I'm doubtful that there is anything like it out there which is why I immediately recommend that you either read a free excerpt, purchase a copy, (it's available in paperback & Kindle versions) and or read my review and decide. There are many books on the market these days designed to help both parents and professionals to better understand and deal with special needs children. But what about the needs of the parents? They often go unacknowledged, unnoticed, and uncared for. That is what makes Get Your Joy Back: Banishing Resentment and Reclaiming Confidence in Your Special Needs Family such a unique and valuable tool. It is written especially for YOU--the parent of a special needs child. It is about your struggles, needs, hurts, frustrations, and disappointments. And very true to the title it is about getting rid of the extra baggage that comes with the very challenging assignment, that you face daily, to make room for more joy. As the mom of four girls, two of them with mental and developmental special needs, Laurie has her finger on the pulse of special needs parents. Her training as a certified life coach enhances her ability to tackle difficult subjects graciously. Her own experiences have allowed her an insider's view on many of the struggles that are common among special needs parents. She has also surveyed other parents dealing with special needs to glean from their stories. All of this has led to her being in many ways an "expert" on a subject that many have chosen to push aside altogether. Her thorough understanding of what special need parent's deal with physically, emotionally, and spiritually resonates clearly throughout the book. The author's writing style is warm and caring. She doesn't sugar-coat things but has a way of allowing her grace and humor to shine through enough to make the tough stuff easier to take. It makes reading this book very much like sitting next to a friend for a discussion. Since Get Your Joy Back was written with weary readers in mind it is important to note that even the weariest reader won't feel taxed while reading. I found this to be a book that is full of encouragement. I also noted that it contains a lot of valuable information on places and ways to connect to find additional support. Laurie Wallin is not "that friend" who is jaded or embittered by life's struggles but rather one who, despite dealing with tough situations constantly, has found ways to reclaim something that each one of us needs to survive in life--joy. I wanted to read this book because I have family members and friends who are parents of kids with special needs. It was my desire to better understand what they are going through so that I can be a help and encouragement to them. I've got to tell you I learned so much from this book. Despite trying to be sensitive to what my family members and friends deal with on a regular basis I'll admit, I was fairly clueless. 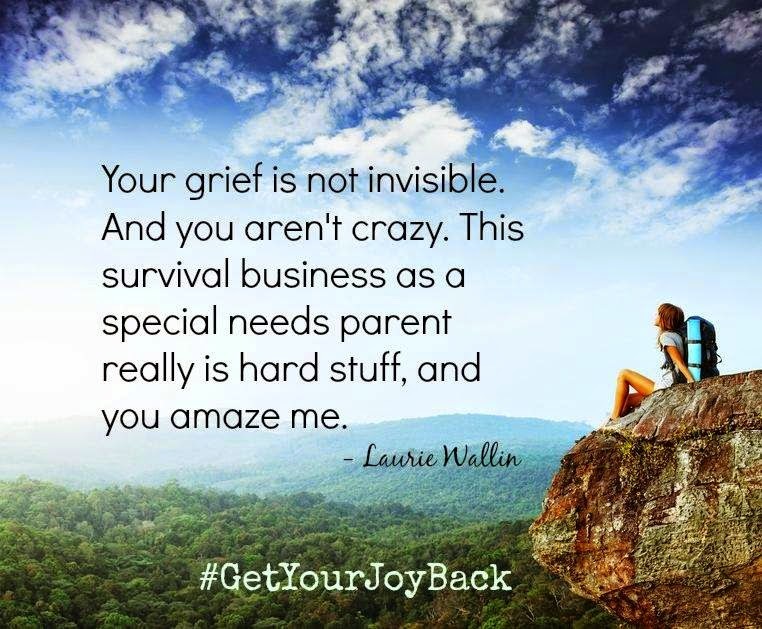 And even though the target audience is specific I found that Get Your Joy Back also helped me in some of my own personal struggles as a parent and just as a person in general. 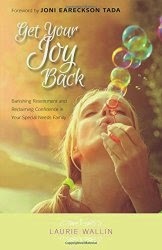 I highly recommend Get Your Joy Back for anyone who is dealing with parents of children with special needs. If you are the parent of a child with special needs, I'd say this is a must-read book. If you their family member, friend,pastor, teacher, ministry worker, or counselor I also believe it is equally important for you to pick up this book. I'm confident that no matter who you are you will benefit from the insight and information that Laurie Wallin brings to the table. You can download a free excerpt of Get Your Joy Back here. 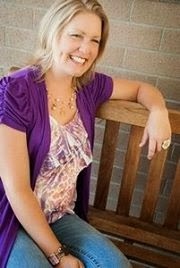 The author: Laurie Wallin is a certified life coach with a passion to help others get unstuck and have joy and confidence, right in the middle of life's mess. As former science researcher and teacher, she loves to learn and challenge how we think about life and the world, especially as it pertains to how we view ourselves. As a speaker and author, Laurie shares with humor, compassion, and honesty because she gets how hard it is to love others, find balance, and pursue our dreams on a daily basis. Laurie writes weekly for her own site LaurieWallin.com and monthly at SpecialNeedsParenting.net. She lives in Southern California with her husband, children, and their cat that pilfers leftovers like a dog. What a thorough review of an important, encouraging book. Thank you so much. Thanks, Laura! I appreciate you dropping by.